Landing pages can offer crucial SEO benefits. In this post, we will address the reasons why landing pages are so important for your website. We will also discuss what you, as a business owner, need to do to make the best use of them. 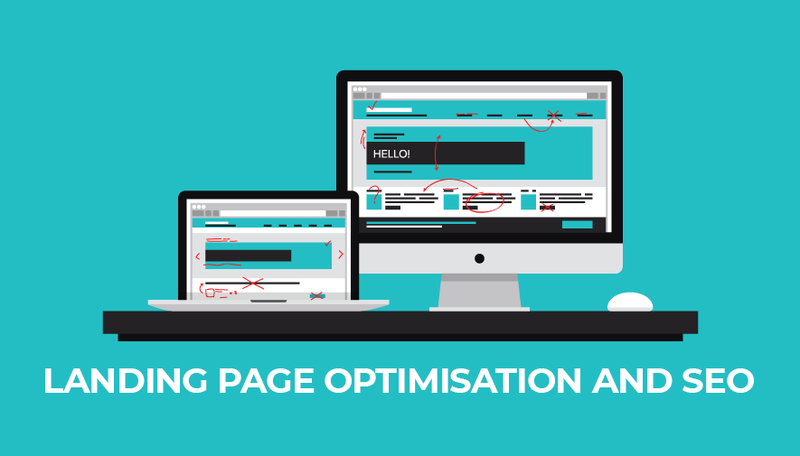 Used correctly, a landing page can help to drive traffic to your site, and allow you to obtain conversions from those visitors. In the simplest terms, a landing page is a page that centralises information targeted towards a particular user or user group. The purpose of the page is to persuade each user to perform an action. Encouraging the customer to visit another page. Usually, this page will be on your site, though not always. Buy a product or hire a service. Read an article, leave a comment, or give feedback on your business and/or website. Spread the word about an aspect of your site or company. This encourages users to share information about an event, a product, or a campaign. Finally, it is possible that users will give their permission for your business to contact them in the future. This option will usually prompt the user to also provide data, such as their email address. This data capture is usually performed using online forms. When a user performs one of the above five actions as a result of visiting a landing page, this is a conversion. Conversions are useful both for your website and your business. Conversions allow you, firstly, to profit from the direct actions of the user, for example if they make a purchase. Secondly, you will also be able to collect user data for future analysis. This data allows you to implement effective conversion optimisation. Higher number of visitors to your site. More efficient targeting of your primary keywords. Increased ability to utilise long tail keywords. Achieving conversions can be difficult even with landing pages. While you may be able to attract users to the page itself, there is no guarantee they will convert once there. One of the major barriers to conversion is the diversity of search terms used to find your page. Users will find your site as a result of using different search terms. Some of those search terms will be relevant to your general content, but some won’t be. Without landing pages, there is little you can do about this problem. It is impossible for you to provide conversion-encouraging content for every search term that leads to your site. This is especially true if you were to attempt to do so on a single page. Unfortunately, the lack of content related specifically to their query can lead to users bouncing from your page. This is because users are unlikely to find information that is pertinent to their niche query on a generalised page. This bounce is an issue that you are going to want to prevent. As soon as those users bounce, they are gone forever. You have lost a golden opportunity for conversion due to a lack of specificity on your page. There is a way to counter this problem: niche-specific landing pages. These pages are then optimised for each user group. By providing niche content on individual landing pages you should be able to reduce your bounce rate. Niche landing pages allow for natural keyword integration. Rather than having to force niche keywords into general content, the keywords seamlessly blend with the rest of the text. In terms of design, niche landing pages have to be mobile-friendly. The majority of web searches are performed on mobile devices. Furthermore, it is believed search engines prefer to direct users to mobile-optimised sites. It is therefore essential that you incorporate mobile-friendly design on your landing pages. Finally, the design of your niche landing page should take into account that users are likely to scan read. To accommodate for this, it’s important to avoid clutter in your landing page design. The text should be easy to read. You can use images and headlines to help focus the reader and drive them towards your Call To Action. It is safe to assume that the majority of visitors who arrive on a landing page are there due to your SEO strategy. By tracking these visitors, you can obtain data that allows for comprehensive analysis of your SEO campaigns. It is also beneficial to monitor how these visitors navigate your site following their arrival. This behavioural data allows you to conduct further analysis that can be used in future to increase conversion rates. For example: landing page tracking could show that you are attracting traffic from an unexpected keyword. Thanks to this data, you can immediately enhance optimisation for that keyword. You can do this safe in the knowledge that that keyword is already performing well for you. This strategy capitalises on existing success and drives higher traffic and conversions. The above is but one example of the way that tracking the data gleaned from your niche landing pages can help to improve your SEO. Business owners and marketing experts should always strive for flexible, responsive SEO methodology. It is clear that niche landing pages are a key tool to achieving this goal. Niche landing pages have much to offer you. These pages allow you to increase traffic to your website, analyse keyword efficacy, and obtain useful data. We can thus conclude that they are vital to your SEO strategy. If you are not yet using niche landing pages, it might be time to start. Next Post What is a lead generation website?